BMDH Stage 2 project team with contracters from Donnelly & AW Edwards. 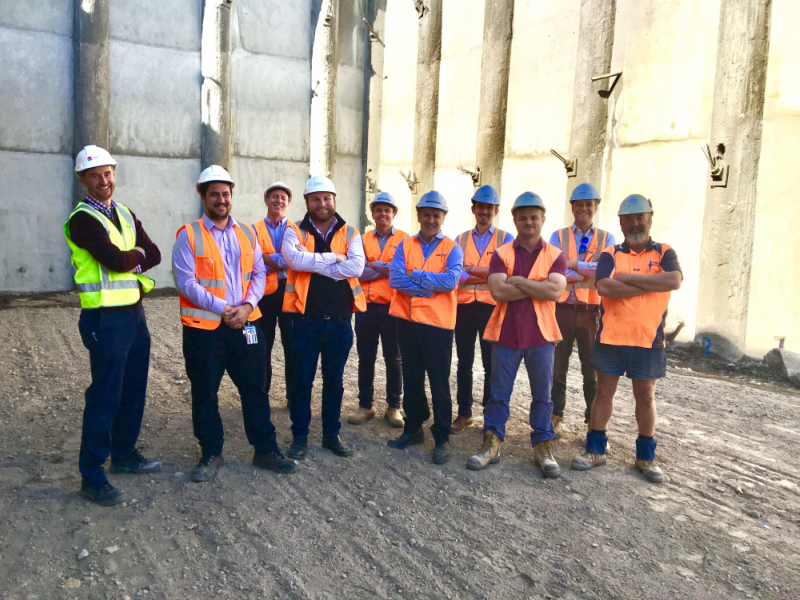 Blacktown & Mount Druitt hospital expansion project team inspected a Very Big Hole last week as early works contractor Donnelly prepared to hand the site over to contractors AW Edwards. As for those walls that dominate the early works site, they are about 10 metres high, or the height of two giraffes!